The big operatic news this week is the opening of the other production of the Canadian Opera Company's Fall Season, that of Benjamin Britten's Death in Venice. The last - and only - time this opera was produced by the COC was in June 1984 under the Lotfi Mansouri era, when the Britten work received four performances. American tenor Kenneth Riegel was a memorable Aschenbach and Canadian baritone Allan Monk in his prime, was an equally impressive Traveller. This is Britten's last opera, and a deeply personal statement and a summation of his life's work. We are extremely fortunate to have on the podium Steuart Bedford, the conductor of the premiere in 1973! 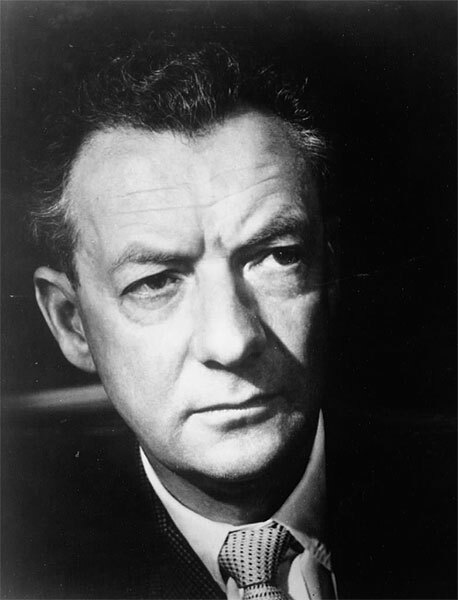 Whether or not you are a fan of Britten or this work, it is simply a must-see. It stars Alan Oke as Aschenbach and Peter Savidge as the Traveller. Opening night is Saturday Oct. 16 at 7:30 pm at the Four Seasons Centre. Additional performances on Oct. 19, 22, 25, 28, 31, Nov. 3 and 6. Meanwhile, the COC Aida continues. The singing, simply put, is superb. I daresay Sondra Radvanovsky is born to sing this role. It was her role debut on opening night, and the audience went wild. Even at this stage, she is the definitive Aida of our time. The production, on the other hand, has generated polarized opinions. If you want to see what the controversy is all about, be sure to go to one of the shows. There will be nine more performances to go, including Tuesday Oct. 12 and Friday Oct. 15, both at 7:30 pm. And this season for the first time there are standing room tickets at $12! There is simply no reason not to go - just to hear the best Verdi soprano of our time is enough of a reward. The COC Vocal Series continues on Tuesday noon (Oct. 12) with a program of English and American Songs, including works by Quilter, Barber, Britten, Vaughan Williams, Bolcom, and Rorem. Since this is free, it is extremely popular. Remember to show up at least 45 minutes before to secure a seat. For a pdf file of the program, go to http://coc.ca/PerformancesAndTickets/FreeConcertSeries/October2010.aspx. The Toronto Symphony Orhestra presents the beloved Sibelius Violin Concerto with violinist Henning Kraggerud, and the Shostakovich Symphony No. 4 under the baton of former TSO music director Jukka-Pekka Saraste. The concert is on Thursday Oct. 14 at 8 pm and repeated on Saturday. On Thursday, cellist Yo-Yo Ma makes a welcome return to Toronto, in a gala evening at Royal Conservatory of Music's Koerner Hall, in a program of Schubert, Shostakovich, and Piazolla. This concert is apparently sold out already but there may be returns. Go to the RCM website at http://performance.rcmusic.ca/performance/index/year/2010/month/10/day/14/time/1900/venue/koerner for more information. Elsewhere, the Toronto Philharmonia opens its season with an All Beethoven Program - Violin Concerto and Symphony No. 7, under conductor Uri Mayer. Vit Muzik is the violin soloist. This concert takes place at the George Weston Recital Hall. One of the best in terms of acoustics, the GW is sadly underused these days so it is good to know that the Philharmonia plays there regularly. Go to http://torontophilharmonia.com/ for more details. Finally, Music Toronto is presenting the St. Lawrence Quartet on Thursday Oct. 14 at 8 pm, in a program of Haydn, Prokofiev, Goddard and Hebert-Tremblay. The venue is as usual the Jane Mallett Theatre in the St. Lawrence Centre. It really seems like Oct. 14 is the busiest day musically so far of the fall season, with many worthwhile events going on simultaneously. I will be attending "The Rubies", the Opera Canada Awards, to take place at One King West Hotel in Toronto. This year, the honorees are Dawn Martens, Roger Moore, Stephen Ralls, Bruce Ubukata and Edith Wiens. Performing in their honour will be sopranos Marianne Fiset and Shannon Mercer, baritones Jason Howard and Brett Polegato, as well as the Canadian Children's Opera Company. The Rubies refers to the founder of Opera Canada magazine the late soprano Ruby Mercer. OC is the oldest continuously published arts magazine in Canada. Thanks to Ruby - as she was called by those of us who knew her - it is Canada's only opera magazine, and at 51 years it is still going strong. For those interested in attending, go to http://operacanada.ca/about for more information.